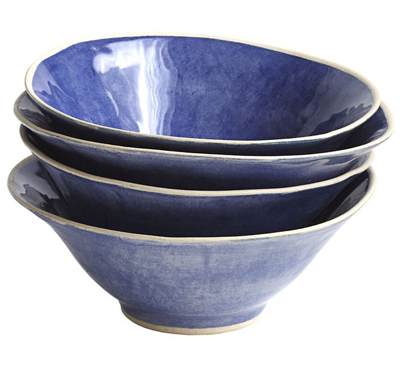 Each of these Wonki Ware All-Purpose Blue Bowls are crafted by hand, from the clay mold to the glaze. The end product is a special, glossy, useful item that is unique in its color and size. Set of 4. $89. Buy here.